Are you ready for Wildcat Summer? At Trinity Episcopal School, we are offering six weeks of fantastic camps packed with new experiences and exciting, hands-on learning. Join us as we embark on new adventures, build friendships and strengthen our sense of community. We welcome rising K-8 students (ages 5-14) to experience these full- and half-day camps. What makes Wildcat Summer Camp stand out? While the core values of Trinity link each camp, the programs are designed to offer unique experiences for each week. New adventures have been added to expand and enrich the experience for returning Wildcat campers. We promise to maintain the same sense of camaraderie and community that has made the camps so transformative in the past and to provide opportunities for a diverse group of campers. Whether you’re passionate about the arts, sports, technology, math or gardening, your camper will grow at Wildcat Summer Camp 2019! At Trinity, we are dedicated to nurturing the whole student: mind, body and spirit. Whether learning to recognize and appreciate your own unique qualities in ‘Beautiful Like Me’ or learning deep-breathing techniques in YAMS (Yoga, Arts, Music, Stories), we are fully invested in honoring Trinity’s mission to create scholars, nurture spirituality and embrace diversity in Charlotte’s Center City. Paramount to succeeding in this goal is our firm commitment to fostering a safe environment through the initiation and understanding of the importance of personal accountability. Trinity’s Honor Code provides guidelines that help us achieve our goals for students to live successfully in our community. 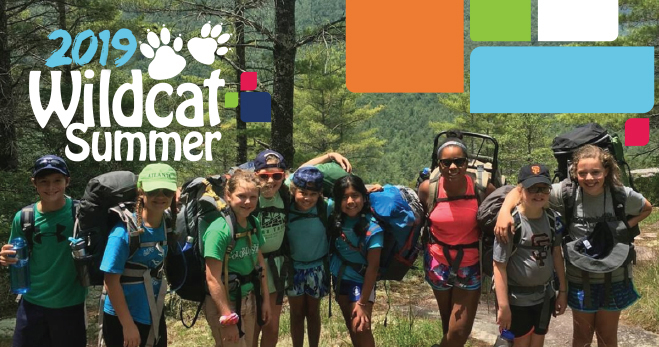 If you have any questions about the 2019 Wildcat Summer Camp program, please call us at 704.358.8101, email us at wildcatsummer@tescharlotte.org.